All of the coaches in charge of our classes are qualified to British Gymnastics standards. All have undergone enhanced Criminal Records Bureau checks. All of our coaches and our welfare officers have attended British Gymnastics child protection training. Sara-Jane has been a qualified gymnastics coach for over 10 years and is now qualified to Womens' Artistic Level 5 - High Performance Coach. Originally from Spalding in Lincolnshire, Sara-Jane moved to Norfolk in 2002 to pursue a legal career as a solicitor. She left the legal profession in 2007 to set up TNAG, thus fulfilling a lifelong dream. Sara-Jane is also Regional Coach for the East region, a post which she has held since 2012 and has undertaken commentary and media work for British Gymnastics. Sara-Jane is responsible for the day to day running of TNAG and has overall responsibility for all participants. As Sara-Jane is the personal coach to the gymnasts within ECS1 and ECS2 and is involved with the training programmes and competitive preparation for all squad gymnasts. Helen has been Assistant Head Coach and Development Manager at TNAG since 2009. Helen has a first class degree in Sports Coaching and Development and prior to joining the Academy worked in Sheffield as Acrobatics and Dance Development Officer. She is also a level 4 qualified coach in women's artistic gymnastics, a qualified judge and qualified to deliver teacher training in gymnastics. Having worked hard for many years implementing a strong and successful development squad system at TNAG and coaching many of our age group squads, Helen now concentrates on coaching the elite squad gymnasts of ECS1 and ECS2 alongside Sara-Jane. She maintains responsibility for co-ordinating the coaching and award schemes to the recreational and pre-school programme, marketing and advertising initiatives and forging closer links with local schools and school sports partnerships. Tracy was born and raised in Norfolk and had a successful career as a gymnast herself before starting her coaching career. Tracy is qualified to Womens' Artistic Club Coach, level 3, Pre-School Club Coach - level 3 and a Womens' Artistic Regional Judge. Tracy is responsible for co-ordinating and implementing TNAG's extensive pre-school section. She is personal coach to the CCCS1 and DS08 girls and has coached many members of these groups and their predecessors to numerous county and regional honours. 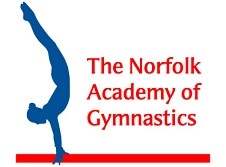 Naomi was a high level gymnast for TNAG, and following her retirement from competitive gymnastics herself, Naomi was keen to take up a key coaching role within the club. She quickly established herself as a key member of the team and is responsible for several development and foundation squad groups, where her gymnasts regularly have success at county and regional level. She started the club's General Gymnastics programme in 2016 and runs the General Gym sessions, allowing more of our intermediate gymnasts to compete at county and regional events. Rebecca has been with the club since 2012 in various roles as a coach. She has improved her skill level, qualifying as a level 3 coach in Women's Artistic gymnastics and is also a regionally qualified judge, and is embarking on her national qualification in 2017. Rebecca is the head coach for CCS2 and also assists with recreational and development squad classes. Jan is a vastly experienced and highly qualified coach in various disciplines within the gymnastics family - she is a Senior Club Coach (level 4) in Womens Artistic, a Club Coach (level 3) in Men's Artistic and a Club Coach (level 3) in Gymnastics and Movement for People with Disabilities. Jan is also a qualified judge to Regional level. Jan is a personal coach to the girls in CS2. Jan has undergone a vast amount of training in child protection not only via BG but also in a wider context as part of her work as a School Nurse at a school for children with severe learning difficulties and complex health needs. Joanna has undertaken recreational classes at TNAG herself for several years and developed, from there, an interest in coaching. She has attained her level 1 qualification in Women's Artistic Gymnastics and coaches recreational and intermediate classes. Erin is a level 2 qualified coach in women's gymnastics and is currently the primary coach to our Mini Squads, overseeing young gymnasts at the start of their journey in competitive gymnastics. Erin works full time for British Gymnastics and is also the club's designated Welfare Officer. Margit has several year's experience of coaching in her native Belgium prior to gaining her UK qualifications. Margit is lead coach to the popular Friday and Saturday recreational classes and also takes a weekly intermediate class. Sharon has previous experience of assisting with gymnastics and trampoline classes and helps out with the intermediate classes at TNAG. Sharon has undertaken the British Gymnastics Helpers' Award. Elaine joined the club in 2014 as she was embarking on her coaching career and has developed into a knowledgeable and competent coach who is an asset to the club's team. Elaine coaches the busy recreational classes on a Monday and also coaches two of the club's foundation squads who have started to gain various county honours. Sylvia has long and extensive experience in coaching and judging gymnastics across various disciplines. She is a dedicated, reliable and hard-working coach who currently teaches recreational classes on a Thursday and also works with the foundation squads in the club.